Looking into getting a new camera? That’s exciting! Taking photos is always fun, but it can be even better when you’re using a real, high-quality camera, especially if it’s new and you’re still exploring all its features. In order to make the most out of your photography experience, you want to make sure that you’re working with a product that will not only take the great photos you have in mind, but that will also last you a good several years. Cameras can be pricey, so you want to make sure that the one you get is worth the investment. What is the Fujifilm X100F? That’s where we come in. We’re here to provide you with accurate, unbiased information on whatever camera you’re interested in so that you can make the best decision for you, whether you’re starting a new hobby or getting the latest model to use in your professional photography career. Keep reading to see what we have to say about the Fujifilm X100F. The Fujifilm X100F is a large sensor compact camera. Launched in 2017, this is a fairly young camera and the latest in the X100 series. This Fujifilm model is marketed toward more serious photographers, offering great control over framing and style options. This control is achieved mostly through the design of the camera, which offers most of its features on one side for easy and intuitive use. The design is also meant to be reminiscent of old film cameras, so this is a great camera to look into if you want something that operates along the lines of nostalgia. While the Fujifilm X100F is a compact camera and so its lens is built-in, it offers compatible attachments. Multiple conversion lenses can be attached on top of the built-in lens, creating a more specified feel like that of a DSLR. This Fujifilm camera is made to capture and process images with a high color reproduction and tone gradation, so you can get those stellar, vivid photos. In relation to producing these high-quality images and footage, the camera offers high ISO sensitivity and noise reduction. The Fujifilm X100F has a 3’’ fixed type LCD screen that works for the photographer in conjunction with an electronic viewfinder. In addition to being electronic, the Fujifilm X100F’s viewfinder is also optical in nature, allowing for a tunnel-type view. This allows you to adjust the magnification of the electronic rangefinder for increased accuracy when checking the frame’s focus. It also has a Real Time Parallax Correction feature that functions with manual-shooting modes, ensuring pristine frame and focus when shooting. The X100F uses Firmware Ver. 2.0, an update that supports the Fujifilm RAW Studio editing capabilities. This enables you to develop RAW files within the camera by connecting it to a computer via a USB cord. Additionally, the camera’s Film Stimulation function has been advanced with the new ACROS mode, which improves processing abilities by adding texture and gradients. In terms of design, most functions and buttons are located on the right side of the camera. The distinct and tactile nature of the buttons and dials allow for intuitive use. Its reminiscent nature of old-style cameras manifests itself in the form a built-in ISO dial that is integrated into the shutter speed dial. The camera offers eight different advanced filters and 15 film simulation modes, so you can capture your images and footage with exactly the tone and saturation you want. As touched on briefly above, the Fujifilm X100F is compatible with several conversion lenses, allowing for even greater clarity and precision of image than the built-in lens of the camera already allows for. The camera automatically recognizes when a conversion lens has been mounted and displays a guiding frame so you can be exactly sure of your shooting area. The Fujifilm X100F has a 24.3 MP (megapixel) - APS-C CMOS X-TRANS III sensor. This is quite a large number of megapixels for a compact camera, allowing for greater imaging and capabilities. The camera comes with a built-in ND filter. This filter is optimal for when shooting in bright light with a wide aperture, or when using a slow shutter speed. It is capable of reducing light down to 1/8 of its original presence, capturing images that are saturated in color and tone. It has a “super intelligent flash”—an auto flash mode that turns on when the camera senses dark lighting. It also comes complete with a hot shoe, so you can connect an external flash and extend the camera’s range and dark photography capabilities. It offers a video resolution of 1920 x 1080, and has a continuous shooting rate of 8 frames per second (fps). In terms of ISO, it has a range of 200 – 12800, though it can expand to 100-51200. The camera also has a variety of built-in wireless features: image transfer, geotagging, directly printing to a wireless printer, remote shooting, and PC autosave. The camera weighs 469 g, including its battery and memory card. This is rather on the heavy side, especially for a compact camera, many of which hover around the 200 g mark. This makes the camera not wholly ideal for travel, or at least not if you have limited space and need something that can slip into your pocket. The heavier weight will also most likely demand double-handed use. Its dimensions in terms of width x height x depth are 127 x 75 x 52 mm. As far as batteries for compact cameras go, the Fujifilm X100F has a pretty good one. Its battery life can extend up to 390 shots per charge, while many compact cameras range closer to 300 shot or lower. Users really seem to like the camera. It’s targeted toward a more experienced photographer audience, and they enjoy it for its high-quality images and editing software. Camera enthusiasts praise the sharp and vivid pictures it takes and overall really enjoy the build. There have been some critiques, however, when it comes to the camera’s menus. The menus and options only display through the viewfinder, rather than on the touchscreen. So, if you’re used to relying on the LCD screen for choosing what to apply to your shot, this may cause some annoyance. Additionally, some complain of overly expensive repairs once the camera falls outside of warranty. You can find the Fujifilm X100F online at B&H Photo for $, or for the same price on Amazon. It should be noted that this is the price for just the camera—it does not come with the conversion lenses, which you can purchase separately. Now that we’ve taken a close look at the Fujifilm X100F, let’s see how it stacks up against similar cameras. Below, we’ll be comparing this Fujifilm camera to the Panasonic ZS100 and the Canon G1 X III. Before we do that, though, here are a few key ratings about the Fujifilm X100F to keep in mind as we start our comparison. This will be an interesting matchup because both these cameras are large sensor compact cameras and considered among the top models in this class, yet there is large price discrepancy that must be taken into account that likely affects each camera’s quality and overall value for the price. In addition to being large sensor compact cameras, both the Panasonic ZS100 and the Fujifilm X100F have 3’’ fixed type LCD screens with a high resolution of 1.040k dots and an electronic viewfinder. Both also feature built-in flash and wireless technology, and both allow for manual focusing and exposure. They each also support RAW footage and images, lending their products higher quality. The biggest and easiest reason to choose the Panasonic ZS100 over the Fujifilm X100F is obviously because of its price. Aside from that, though, the Panasonic camera offers optical image stabilization, a touchscreen, 4K photo mode, and post focus mode, where the Fujifilm does not. The Panasonic also has superior wide and long-range lengths in addition to optical zoom. The Panasonic has faster shutter speed (1/16000s vs 1/4000s) and continuous shooting (30 fps vs 8 fps). Lastly, the Panasonic ZS100 is considerably lighter, weighing 312 g versus the Fujifilm’s 469 g.
In terms of imaging quality, however, the Fujifilm X100F has the Panasonic beat by a long shot. To start, its sensor has 24 MP to the Panasonic’s 20 MP, and its viewfinder is not only electronic, but optical. The Fujifilm also has way more focal points (325 vs 49) and a much larger sensor pixel area (15.34µm2 vs 5.82µm2). It has superior wide and long-range max aperture features, and it offers a hot shoe where the Panasonic does not. The Fujifilm’s battery life of 390 shots per charge is also a good deal better than the Panasonic’s 300. Just like with the last matchup, both these contenders are large sensor compact cameras that are ranked among the top in their class. The price is more evenly matched up here, however, so this should be interesting. The Canon G1 X III and the Fujifilm X100F both offer 24 MP sensors, 3’’ LCD screens, and electronic viewfinders. Both cameras offer 1920 x 1080 video resolution and time-lapse recording functions, as well as manual focus and exposure. Additionally, each supports RAW footage and has built-in wireless capabilities. Both feature a built-in flash and hot shoe. Now for the ways the Canon G1 X III gets a leg up on the competition. In terms of its LCD screen, the Canon’s is touchscreen and fully articulated for great flexibility when shooting, unlike the Fujifilm’s. It also offers optical image stabilization and Bluetooth. It has superior wide and long-range focal lengths and optical zoom, and its continuous shooting speed is just slightly faster (9 fps vs 8 fps). The camera also offers an environmental sealing, so you can take the Canon outdoors and not be afraid of damage. Lastly, its lighter than the Fujifilm by 70 g.
Like with the Panasonic, where the Fujifilm X100F really stands out is with its imaging qualities. The Fujifilm has 325 focus points to the Canon’s 49. It also has a superior sensor pixel area (15.34µm2 vs 13.84µm2) and shutter speed (1/4000s vs 1/2000s), in addition to superior wide and long-range max apertures. The Fujifilm X100F’s battery life far outlast the Canon G1 X III’s, offering 390 shots per charge while the Canon only lasts for 200. So, we’ve taken an in-depth look at the Fujifilm X100F, and we’ve seen how it compares to the competition in terms of features and overall quality. But before we draw any conclusions, let’s make a quick recap of the X100F’s major pros and cons. In terms of image quality, the Fujifilm X100F has most other cameras beat. Its number of focal points exceeds the typical cameras by hundreds, and it offers high resolution and large pixel sensor areas. Its battery also lasts for a good deal of time, and its viewfinder has optical capabilities in addition to just being electronic. The Fujifilm X100F could be a little more user-friendly, however, mainly in terms of its LCD screen lacking touchscreen capability, mobility, and guide screens. It also doesn’t feature any optical image stabilization. The Fujifilm X100F is all in all a great camera. It might not be the best choice for beginners or amateur photographers, but if you’re experienced or a professional then you’ll fall in love with the images that this camera can produce. 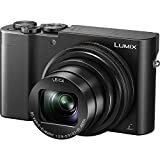 Its amount of focal points is jaw-dropping, and though it’s a little large for a compact camera, it is still small enough to take with you on the go. The Fujifilm X100F is a featured packed camera that exceeds typical cameras. It offers high resolution and good battery life. However, its LCD screen lacks touchscreen capability.